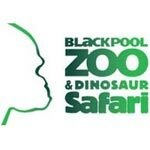 There are many attractions to keep you entertained in Blackpool. Blackpool Pleasure Beach is the UK's favourite amusement park, with over 100 rides and attractions, spectacular shows and it's the most ride intensive park in the UK. Home to the steel mega-coaster that is the Big One, the UK's only Nickelodeon Land and the world's first Wallace & Gromit ride, Thrill-O-Matic, Blackpool Pleasure Beach is full of world firsts. 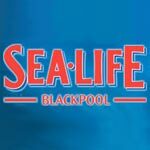 Family thrills and memories that will last a lifetime are assured at Blackpool Pleasure Beach and there is plenty to keep all ages amused. Nickelodeon Land is home to 12 amazing rides, a whole host of Nickelodeon characters themed around the world's number one children's entertainment channel. With its colourful, park-like atmosphere, Nickelodeon Land is the perfect place to hang out and meet popular Nick characters. Enjoy the new Red Arrows SkyForce. This 72ft high, 12-seat white-knuckle ride will take you on a 360-degree tour of the skies and sits in the shadow of the world famous Big One rollercoaster. Stepping into your very own Red Arrows cockpit, you take control of the plane and spin, glide and take formation in your very own display. Red Arrows SkyForce will have you spinning, swirling and exciting the senses while your fellow pilots take control of their own flights before touching down and checking out a dedicated a Red Arrows shop, which will feature exclusive merchandise and souvenirs designed for Blackpool Pleasure Beach. 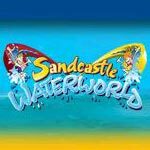 Sandcastle Waterpark is the UKs Largest Indoor Waterpark. The Waterpark features over 18 slides and attractions including water slides, fun pools, wave machine, lazy river, water chutes, burger bars, snack bars, arcades, swim shop and much much more. So, if you're looking for things to do in Blackpool and fancy a great day out make sure you visit the Sandcastle Waterpark. The Sandcastle Waterpark is opposite the Pleasure Beach on the seaside of the promenade. 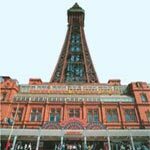 Blackpool Tower is another great day out, with the tower circus, the walk of faith, aquarium, jungle Jim's and zap zone, the Blackpool Tower Dungeon's, the Blackpool Tower Spectacular glass-floored Skywalk. 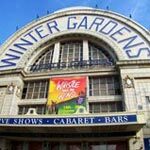 Also there is the Blackpool Tower Ballroom with dancing every day, and many shows and competitions through out the season. 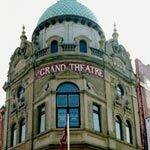 Funny Girls is only a short 2 minute walk from the hotel, and offers an amazing brilliant night out, and is not to be missed. All Blackpools bars and night clubs are all within walking distance of the hotel, and offer you a fun packed night out.